For either gas transfer or recirculation applications, the Ful-Vane compressor has a rugged design well suited for digester gas applications. Rugged and suited for harsh environments, Ful-Vane compressors utilize sliding vane technology for increased efficiency, reliability and durability. 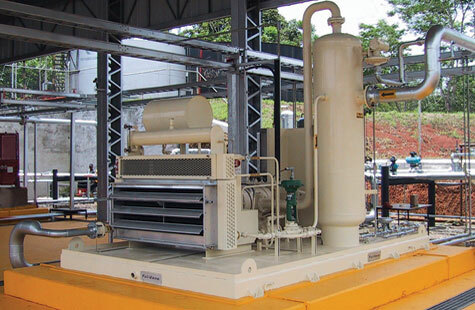 Ful-Vane compressors also feature rebuildable housings and rotors and are field repairable, minimizing downtime and reducing maintenance and ownership costs. Available in flow ranges from 50 MSCFD to 4.3 MMSCFD and with pressure ranges from -29.8″ Hg to +125 psig, Ful-Vane compressors will suit virtually all applications.